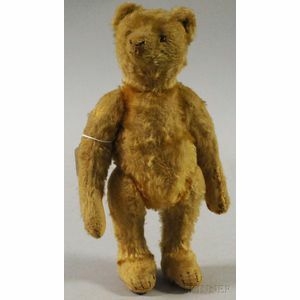 Small Steiff Mohair Bear, Germany, c. 1915, golden color with apricot tone at inner joints, brown glass eyes, STEIFF button with underscore F, felt pads, ht. 11 1/2 in. 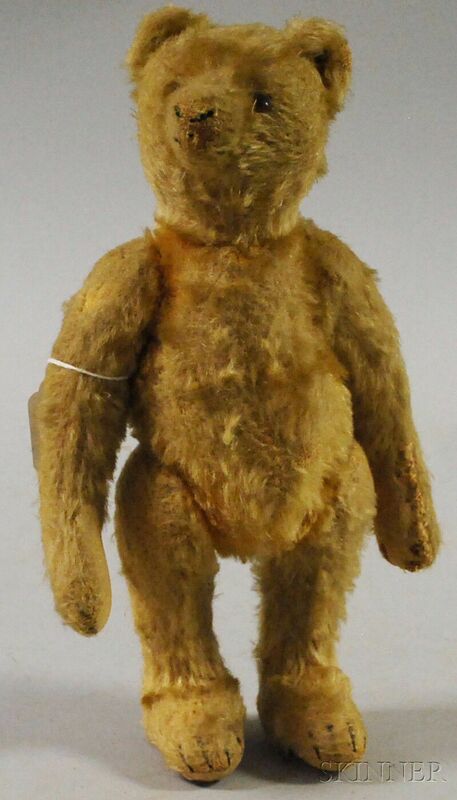 Overall matting, scattered fur loss on legs, wear to nose and mouth stitching partially gone.